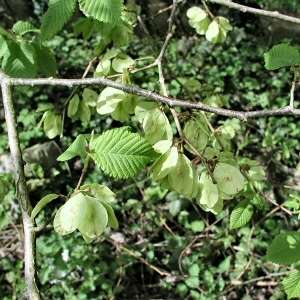 Wych elm is the only species of elm which is native to Ireland. Together with oak, it was an important tree in the old natural woodland which formerly covered much of the island before human activity destroyed these woodlands. 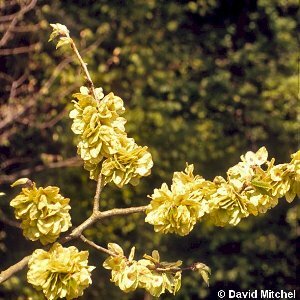 It has generally larger leaves than the other elms which have been introduced from England. It is a tall, handsome tree and is common in woods and hedgerows across Northern Ireland. 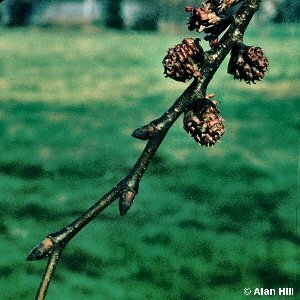 Unlike the other elm species it does not produce suckers. Plentiful fruit is produced, consisting of papery discs with the seed embedded at their centres. 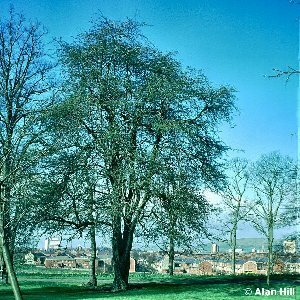 All species of elms are affected by Dutch elm disease (so-called because the details of the life-history of the disease-causing fungus and its insect carriers were intensively studied by Dutch scientists, not because it affects only Dutch elm (Ulmus x hollandica - a rare tree in Northern Ireland). The fungus, Ceratocystis ulmi, is carried by beetles which bore into the trunks. There are many different strains of the fungus, of varying virulence. 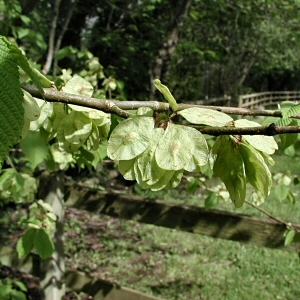 The wych elm is apparently rather more resistant to the strain which has killed so many of the small-leaved elms in England and Ireland during the epidemic of the past thirty years. Death is caused by the fungus blocking the 'pipes' in the wood that carry water up the trunk. Drought conditions consequently tend to increase the death rate. 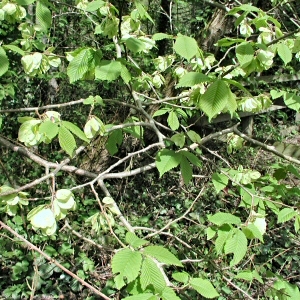 The introduced English elm species, with generally smaller leaves than U. glabra, occur mainly in hedgerows where they were originally planted. They can spread extensively by suckers, which are shoots, which arise spontaneously from the roots, but rarely produce viable seed.